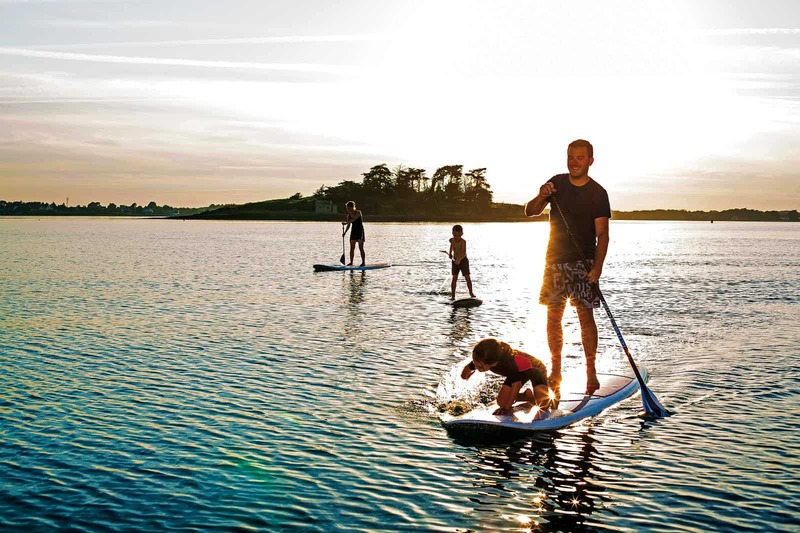 Stand-up paddle boarding is a fun and rewarding sport enjoyed by water lovers all over the world. 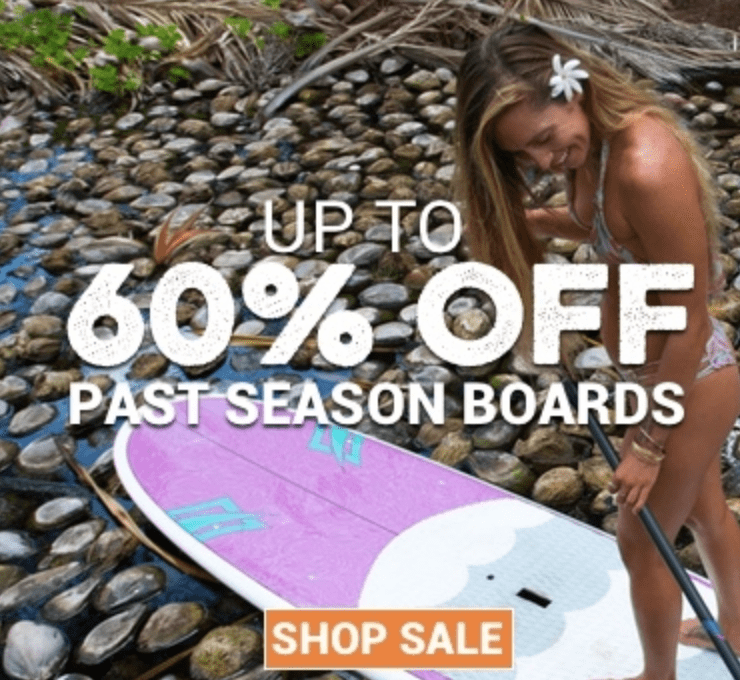 Whether you are just getting started or an experienced paddle boarder, this article will give you some valuable information to help you make a good choice for your next board. The type of paddle board you use will depend on what you intend to do with it. Do you practice yoga? Do you want to compete with your paddle board? Surf? Simply paddle around? There is a paddle board for each of these pursuits and more. Before we look at some reviews, take a moment to review the basics of paddle boards. Although they may seem simple, the wide variety of paddle boards out there can make it difficult to choose one. There are inflatable paddle boards and hard paddle boards. Hard boards are also known as rigid stand-up paddle boards or solid stand-up paddle boards. The one you choose will depend on your personal preference. Hard boards are best for speed and waves, but the inflatable boards are easier to store. They are also more suitable for yoga and are less expensive than hard boards. Paddle boards vary greatly in length. Ten-foot paddle boards are the most common, but sizes range from nine feet to 12 feet. Each length has a specific purpose. Paddle boards with a greater length are ideal for use in open water. Short boards are suitable for still water. 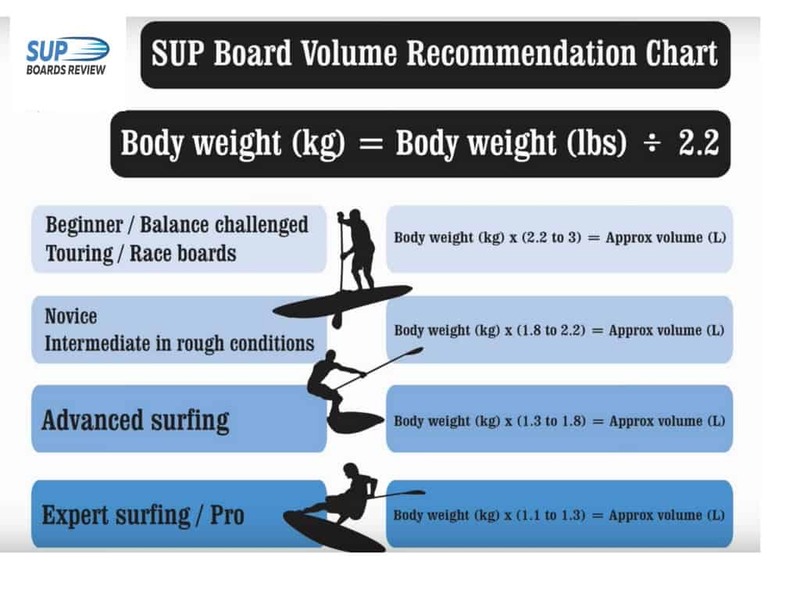 Those who are new to the sport will do best with a short paddle board, but longer boards can hold more weight. Take this into account when making your decision. If you are new to paddle boarding, flat water boards are perfect. These paddle boards are very stable, making it easier to stay on top of the board. Flat water paddle boards are ideal for entry-level paddle boards and are excellent options for fishing. Look for a paddle board that is between 30 to 34 inches in width for maximum stability. The board should be 10 to 11 feet long to allow you to easily maneuver around. Surfing on a paddle board has the potential to be far more exciting than regular surfing. Shorter boards specifically designed for surfing are usually best for catching those waves. If you intend to use your board for surfing, find one that is less than 10 feet in length for superior maneuverability. Shorter boards respond more quickly than longer boards. If you wish to do yoga, you will do best to choose a paddle board that is designed to accommodate yoga positions. Stand-up paddle boards for yoga have a wide base for stability and include a specially-textured surface to prevent slipping. Since inflatable paddle board surfaces have more give, most people prefer these models for yoga. These paddle boards can also be used for general paddle boarding. If you want to do any paddleboard yoga at all, consider a yoga-friendly design. If you are experienced at paddle boarding, you may be interested in racing and touring. Racing boards are not designed for beginners, but they are ideal for intermediate to advanced boarders who are looking for speed. When looking for a touring or racing paddle board, you will need a longer, skinnier design. Racing paddle boards are thinner than other paddle board designs and tend to be thicker as well. 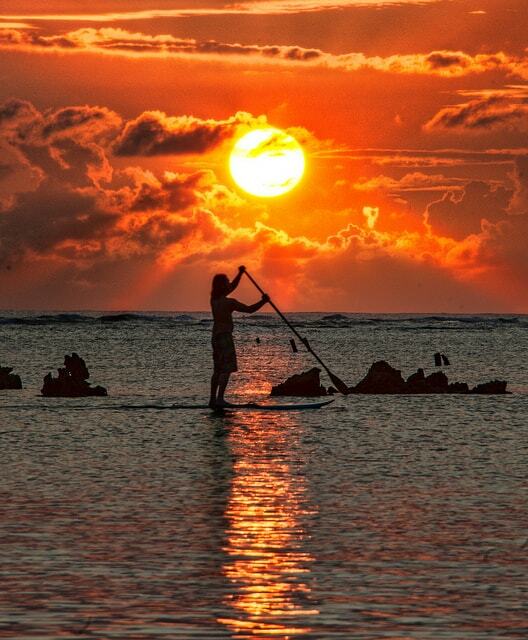 Although paddle boarding is a fairly recent sport, it has been done by people for thousands of years. African and South American cultures have been paddling around on the oceans in canoes, boards and boats since their civilizations first began. Although paddle boarding was more of a survival skill than a sport back then, the invention of paddle boarding has been credited to these first civilizations. The modern version of paddle boarding is based on surf boards. Natives to Hawaii have been surfing without paddles since the 1700s. In the 1940s, an experienced surfer decided that he wanted to take a paddle with him on his surfboard to allow him to stand up and keep an eye on the waves and his fellow surfers. Unfortunately, this surfer ended up in a car accident which left him unable to swim or kneel. He still wanted to ride the waves and did just that with a stand-up paddle board. The sport did not take hold on Western culture until the 1980s when travel photographers released pictures of the sport. Okay, enough about basics and history. It’s time to look at some paddle boards. These are the top five paddle board choices for 2018. This board is specifically designed for yoga beginners and can be used for yoga and paddling around in still water. The non-slip surface can accommodate different poses even when wet. This board arrives equipped with handy accessories. 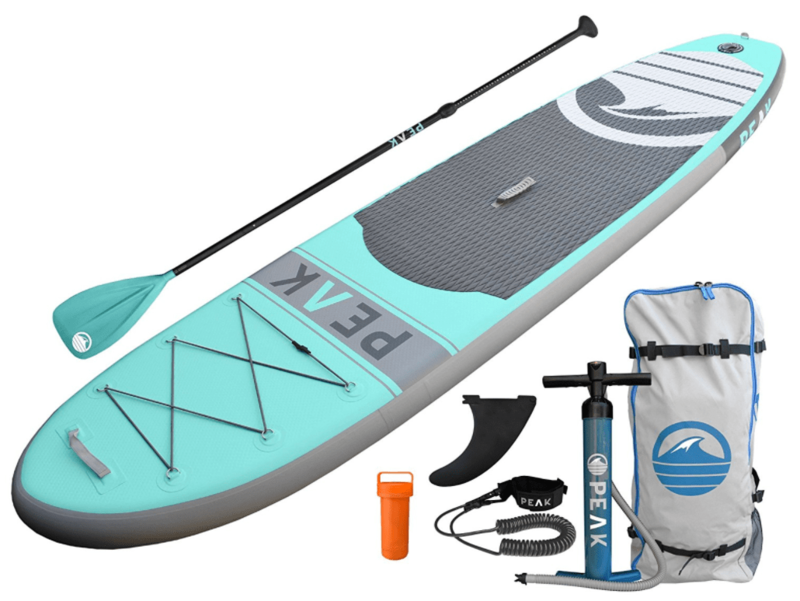 While not the cheapest paddle board out there, it is more affordable than many. The IRocker Cruiser is an amazing inflatable at a reasonable cost. 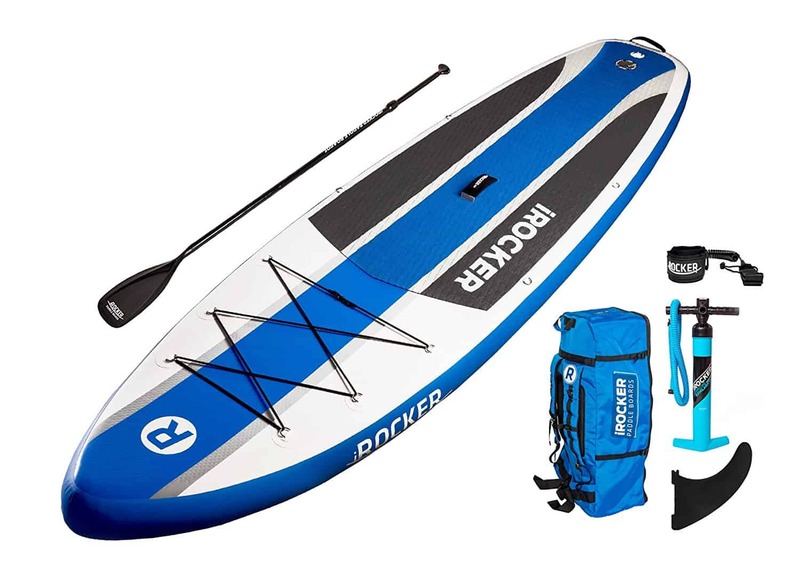 This package comes with everything you need including a backpack, leash, pump, and fiberglass paddle. 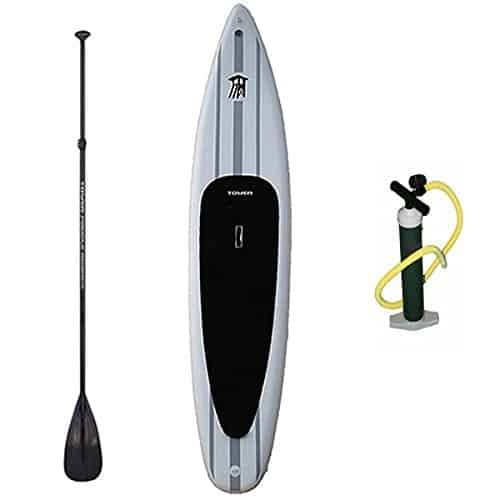 This inflatable board is extremely sturdy once it is blown up and is perfect for flat water use. Because of its design, the Irocker is not suitable for super choppy waters or surfing, although some do use it in the surf. Seeing how some people have used it for yoga, it is not necessarily what I would recommend for yoga as there are better yoga boards in our others blogs. The Xplorer is by far one of the fastest paddle boards around. Designed for speed, this board is perfect for racing. Although this board is not professional, it is suitable for those who want to race without wiping out their bank accounts. Under $1,000 dollars in price, you will be hard pressed to find a faster board at better deal. 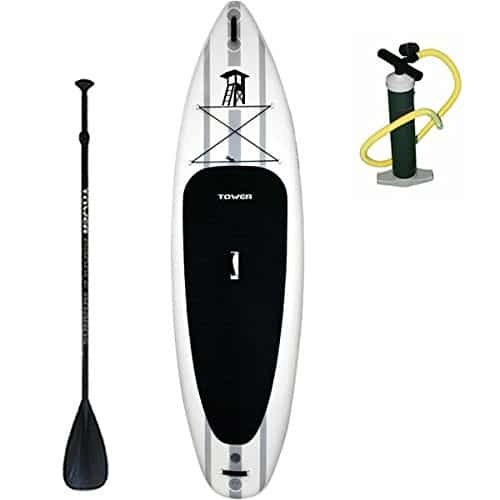 Be sure to also read our other reviews on Tower paddleboards here. The BIC Sport is available in 9’2”,10’6” and 11’6” lengths. The Sport is a solid board and is considered to be one of the best surfing stand-up paddle boards on the market. The board itself is made from an epoxy composite material that is both durable and lightweight. The rocker design of this paddle board makes navigating the water easier, while the length makes it simpler to move around other riders. It is ideal for both flat water and ocean/lake use. BIC Paddleboards have been around for some time and have a really great reputation and quality management which is why it is one of my favorites. 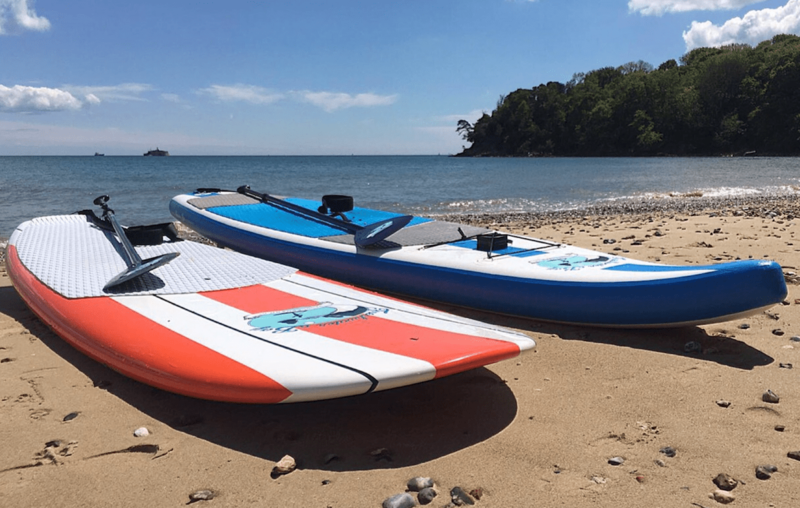 The Tower Adventure 2 is the most popular stand-up paddle board on the market. This paddle board is extremely user-friendly. For those who are just starting out, this model offers excellent stability, leading to less time in the water and more time on the board. The board is relatively long at 10’ 4”and is very versatile. Many people enjoy doing yoga on this inflatable board as well. The Adventure 2 is more durable and easier to handle than the Adventure 1 and is made from military grade plastic. They can withstand a significant amount of stress and can be dropped from high places and even rolled over by a vehicle without damage. The softer surface makes it less of a problem should you fall and hit your head. We hope you enjoyed our review of the best paddleboards for 2018. Be sure to comment or leave your thoughts and questions below. Also, be sure to check out our other paddleboard blogs here.